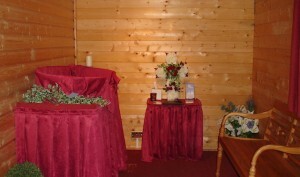 Pets in Peace is far more than just a crematorium, offering collection of pets from home or veterinary surgery, an understanding and sympathetic ear on the telephone, a choice of receptacle for your pets ashes, a written Certificate of Cremation, and a variety of headstones and memorials for use in your own garden. If you would like to bring your pet personally to us then just give us a ring and we’ll give you an appointment. For directions please see our Find Us page for an interactive map. Alternatively, we’ll be happy to arrange a collection at your convenience, there is an extra charge for collection. We can also offer exhumation and cremation, perhaps in the case of a house move, or maybe just advise to owners with healthy pets simply looking for information for future reference and the peace of mind which this brings.